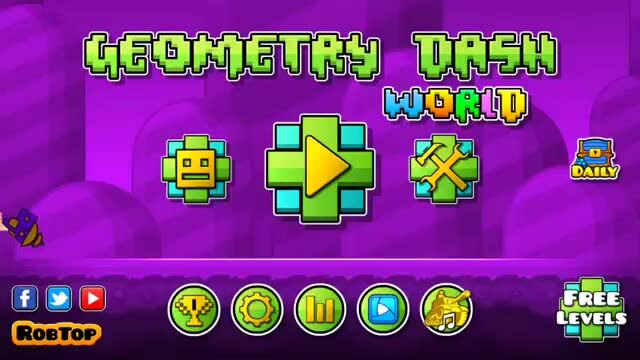 First came the original Geometry Dash in 2013. 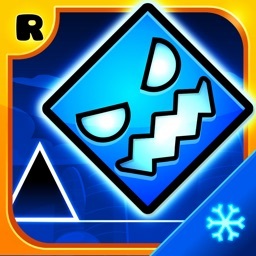 Then came Geometry Dash Meltdown in 2015. 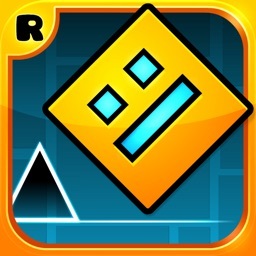 Now, here comes another entry in the wildly popular rhythm-based platformer series: Geometry Dash World. 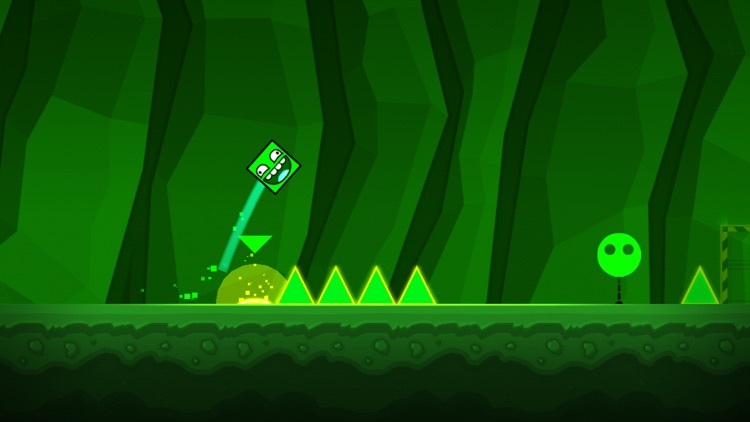 Are you ready to face and run through danger in all its geometric forms? 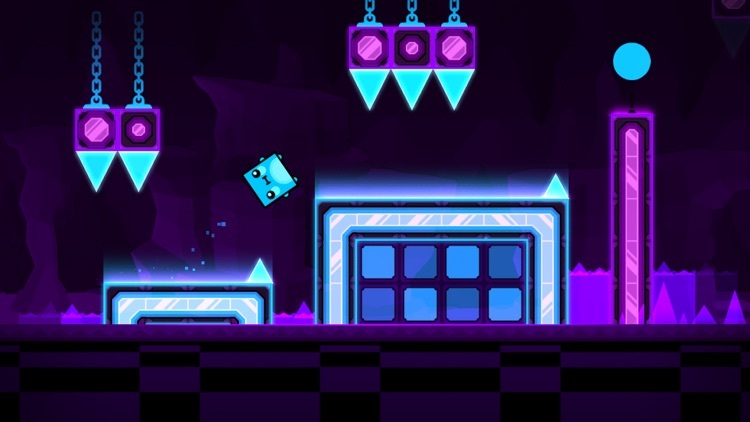 Rhythm-based platforming. Can you feel the beat of the music? You better! 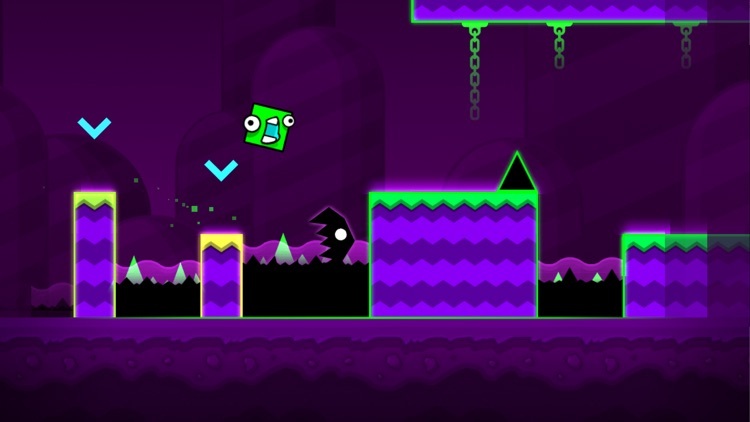 Since it’s your guide to when and where to tap and make your icon jump, fly and flip onto a platform and away from danger. 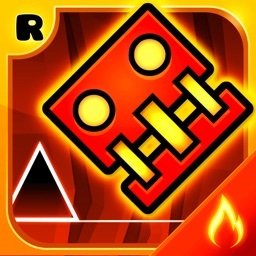 Geometry Dash World features 10 unique levels with music from Dex Arson, Waterflame, and F-777, presumably with more worlds and tracks to come. 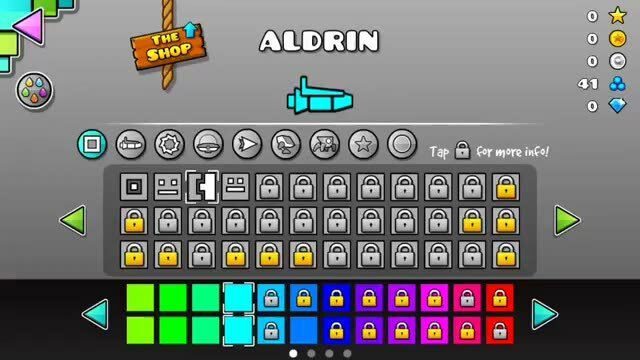 Character customization. Use the orbs you collect while playing to unlock unique icons and colors to customize your playable character. If you’d rather not be square, try being a cog, a ship, a spider, or a star. There are plenty of icons and colors for you to choose from. Don’t have enough orbs? 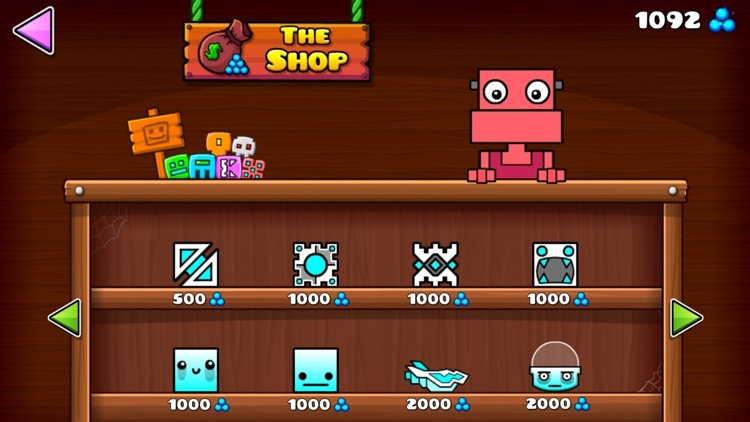 Go to the in-app shop. Online levels and daily rewards. 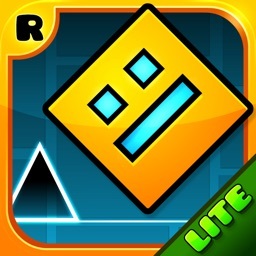 Play online levels created by the Geometry Dash community. Complete quests and redeem your daily rewards. 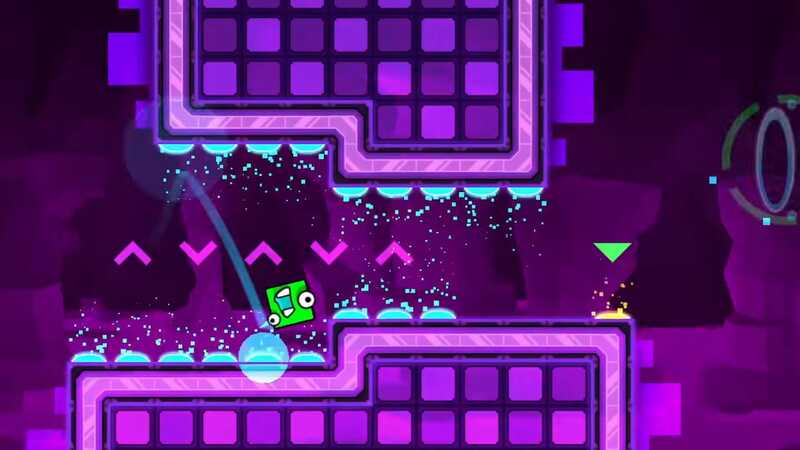 Like Geometry Dash Meltdown, Geometry Dash World serves as something of a preview of all of the perils and the pleasures that are in store in the full game that is the original Geometry Dash. 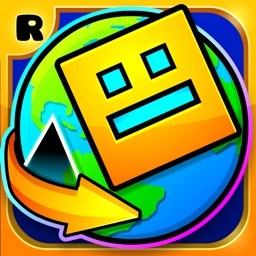 Rest assured, though, that Geometry Dash World is its own, standalone game. 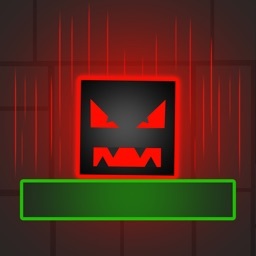 In Geometry Dash World, as in the other titles in the series, you have to tap at just the right musical moments as your customizable icon runs through each level, jumping on platforms, going through portals, and otherwise avoiding obstacles until you complete the challenge. 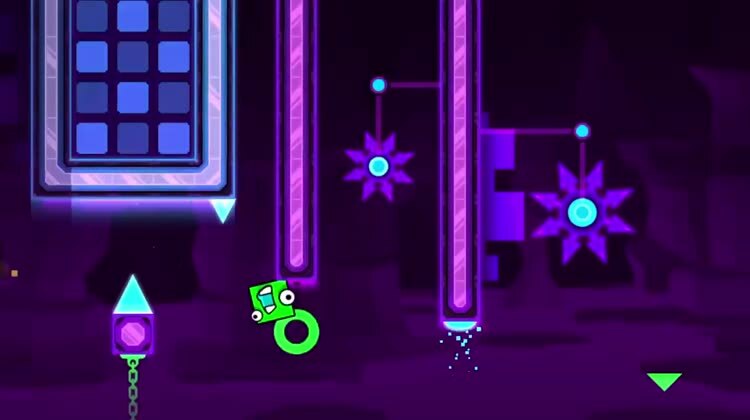 Geometry Dash World offers more of what has made the Geometry Dash series such a huge hit — extremely challenging rhythm-based platforming — in a package that includes lots of new stuff in terms of levels, music tracks, monsters, and more. 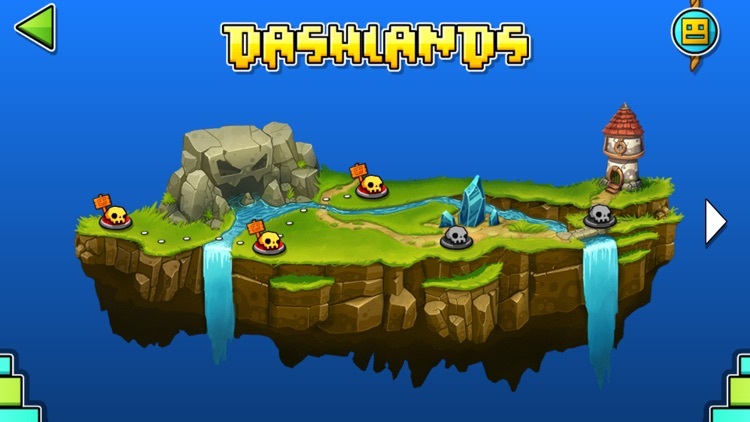 You can’t go wrong with this one — except you’ll often go wrong in taking on the game’s difficult levels and you’ll often go right back in for some more.